It’s been a week of friendly matches, and one not so friendly, as the Super League sides ready themselves for the competition which starts in just eight short days when Wigan and Saints will play the opening fixture of round one. Sides now seem to be settled with little actionor speculation in the transfer market. It was confirmed that Greg McNally will be wearing the colours of Leigh Centurions in 2019 after completing a move from the Bradford Bulls. McNally was released by the Bulls on compassionate grounds to care for his seriously ill wife and the Centurions are a better fit, being closer to his home. Catalans Dragons beat a Presidents XIII by 38-14 in an impressive pre-season run-out, scoring seven tries in their first competitive game of 2019. Castleford Tigers took the honours with a pre-season win over arch-rivals Leeds Rhinos in the pre-season Kallum Watkins Testimonial at Headingley. Leeds gave debuts to Trent Merrin and Konrad Hurrell but both tasted defeat as the Tigers secured a 26-24 win. St Helens defeated Hull FC by 28-18 in Jonny Lomax’s Testimonial. Tommy Makinson was the difference between the two sides, picking up two tries in a five minute first half spell. Hull KR gave the Toronto Wolfpack a taste of Super League as they won 24-14 after being 8-0 ahead at the interval. Bradford Bulls won the Yorkshire Cup after a close 14-12 victory over the Batley Bulldogs at Mount Pleasant . The Bulls led 6-0 at half time but within two minutes of the restart Batley were back on level footing. Sin-binning’s followed before the Bulls took a two point lead. The Bulls extended to 14-6 before the Bulldogs got back within two, the Bulls holding on for the final hooter. The Warrington Wolves registered a 38-12 win over neighbours Widnes Vikings giving Steve Price plenty to think about heading towards the first competitive game of the season against the Leeds Rhinos a week on Saturday as he used twenty-two players to give most of his squad a run-out. Wigan Warriors gave a debut to Zak Hardaker when the travelled to the AJ Bell for a pre-season run out against the Salford Red Devils. The full-back grabbed himself a try in the sixty-ninth minute to complete a 28-18 win for the visitors in front of just over two thousand fans. 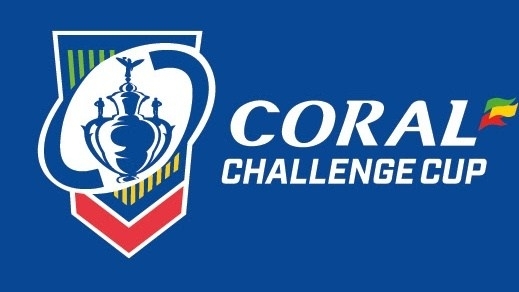 The next two years will see rugby league sides competing for the Coral Challenge Cup after a deal was done with the leading bookmakers to sponsor both the men’s and women’s variants. The deal is reputed to be worth seven figures. In a massive pre-season blow for the Huddersfield Giants, it has been confirmed that Jermaine McGillvary is likely to miss the opening two to three months of the season after pulling a hamstring in a pre-season friendly. He joins Leroy Cudjoe on the injury list, both first choice wingers not available to coach Simon Woolford. The RFL have confirmed that there will be plenty of coverage of the Championship in 2019. In additional to Sky Sports covering the Play-Offs and the Million Pound Game. There will also be a weekly game broadcast as all Toronto Wolfpack fixtures, home and away, will be made available by SKY although the channels/media have not been announced. Our League will also show selected Championship and League One matches through their App starting with Newcastle Thunder v. Doncaster on 16th February. Our League will also be covering the Challenge Cup, Women’s Challenge Cup, 1895 Cup and Women’s Super League. There will be plenty for the armchair supporter in 2019. St Helens have been installed as favourites to lift the Super League Trophy at Old Trafford in October 2019. Warrington Wolves are second favourites with unknown quantities Wigan Warriors third. Castleford come next in the betting with the Leeds Rhinos following in fifth place. Odds of 250/1 are available on newly promoted London Broncos.